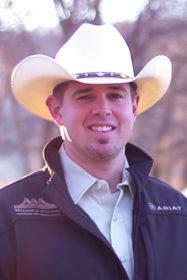 Howdy friends, welcome to the Oklahoma REALTORS Land Institute! I am excited to take Presidency of this great organization. Thank you to our Executive Committee, Past Presidents and Chapter Administrator for their leadership and hard work. My commitment to RLI started about 6 years ago and it has been huge in differentiating me as a LAND BROKER. I currently serve at the National Level on the Future Leaders Committee and the ALC Designation Committee. Being involved has helped me stay informed on the latest technology and educated on what matters most, the LAND. If you are in the land business, or thinking about getting into the land business, you really need to mark our next meeting down on your calendar and start showing up! “You can’t soar like an Eagle… when you run with the Turkeys…” Raymond Perreault. Let’s talk about Growth. Have any of you ever asked yourself if RLI is worth being a member of? WHY Achieve the Accredited Land Consultant Designation? Well the results of our most recent membership survey indicated that the average Accredited Land Consultant (ALC) earned $373,925. See more at: https://www.rliland.com/accredited-land-consultant-designation If that is not enough to get your attention, let me ask you this, have you ever been to a National Convention? Well, until you have, you will never understand how and why the local Chapters exist. We are part of something so much bigger. There is an immense amount of knowledge and resources at your fingertips… if you show up! How can you know what’s going on in your niche if you’re not there networking with the best of the best? If you show up to the meetings, discuss issues, network with agents and stay up to date on the latest gadgets/apps, you will be amongst the Eagles soon. You can’t build those relationships by sitting on your couch. I have always been told “The wise learn from the mistakes of others, it’s the fool that wants to make their own mistakes.” Tony Gaskins. We have so many resources available and we look forward to building on them, together. If you missed our October Annual Oklahoma Chapter meeting you missed a great meeting. We had an incredible speaker on Minerals and will continue to use him as a resource for Oil & Gas related questions. Wes Turiano, with Farmers National Company, is a wealth of knowledge and the education he provides is always in “layman’s” terms. He is easy to follow and we are blessed to have him as a resource for our mineral questions. We also had Beau Sheffield from Oklahoma AgCredit speak to us about agricultural lending. He also explained how to reduce the Actual Percentage Rate by pre-paying yearly payments. If you have questions or are not aware of how this works, feel free to reach out to him, thank you Beau. We have another initiative rolling out. We will be nominating our 1st annual “OKLAHOMA LAND BROKER OF THE YEAR FOR 2018.” Stay tuned for more information on how YOU can be nominated. With that said, our next event will be our 2nd ANNUAL DUCK HUNT. The hunt will be in the Ponca City area on December 8th and 9th. We will be staying at the Osage Casino in Ponca City. This social event encourages collaboration and tons of networking opportunities. We will have the afternoon to mastermind. Come join the elite and shoot birds while doing it. I look forward to seeing each of your ALC Applications come across my desk. Call me anytime if I can help out! 918-884-LAND.